There's hardly any room for the lower child if the seat is upright. A possibility for baby twins? Maybe suitable for baby twins? 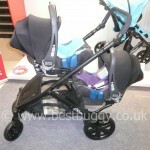 This my review of the new Britax B-Dual pushchair! I have to be honest, when I first saw a B-Dual last year I was put off by the tall hood. But more recently I saw one parked up in a cafe and I had a good look and I was intrigued because it is a very neatly packaged pushchair. So I was pleased to get another look at one at the Harrogate Nursery Fair, and even more pleased to find that the hood height has been reduced! 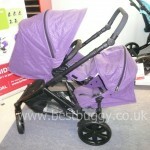 The seat units both lie flat which gives flexibility when the babies are too big for the carrycots. We tried to put the front seat parent facing but as you can see from the photos, unless the child at the bottom is laid flat then there is little room for them. I have to say I am not a fan of the ledge type seats. I haven’t tried one of my children in one, but I have heard reports of babies slipping down and being held by the harness. The chassis is 1kg lighter which has been achieved by shortening the frame. There are new adaptors which have pushed the front seat higher and forwards which gives more leg room for the lower child. The hoods conceal mesh behind zips for added sun protection. The roomy basket had zips at the front and sides for easy access. 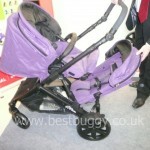 Black or silver chassis depending on colour choice. 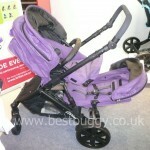 I loved the adjustable handle and the pushchair was lovely to push. I really liked it especially the compact fold and that you could fold the B-Dual with both seats attached although taking the second seat on and seemed simple. 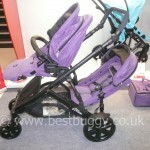 £49.99 Car Seat Frame – if you require two car seats – the first one just fits onto the chassis with no adaptors. 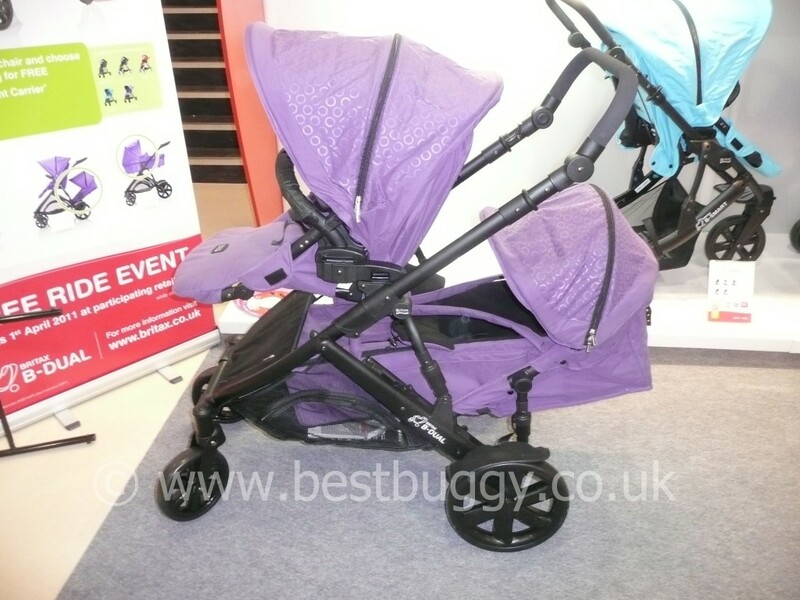 Apparently starting on April 1st 2011 there is a “Free rider” offer in place where if you buy the chassis at participating retailers, then you have a choice of a free second seat, or free car seat or free hard carrycot. 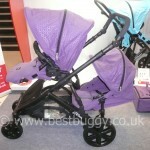 I really think this is a great new option for twin mummies and I know Leah was quite impressed by the new B-Dual.